On-line mobile phone reseller Clove has published details of the SIM card layout to the recently launched Motorola Razr handset, which uses the iPhone’s 4 SIM set up. Clove has published a blog post on the http://blog.clove.co.uk/ website, which notes that the world’s thinnest mobile phone with a 7.1mm thickness has a design tip taken from Apple. 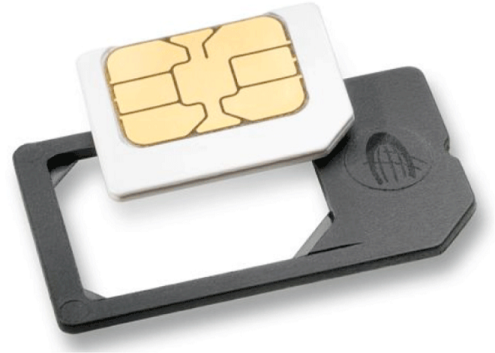 Motorola Razr uses a Micro SIM and not the regularly found SIM card, used by all mobile phones around today. Apple switched over to using a Micro SIM card for the 2010 iPhone 4 handset, which has been carried across to this year’s dual-core iPhone 4S – where no other mobile phone has used the same SIM card form factor since, until now. The very svelteness of the Motorola Razr could be the reason of this design switch, which affords the handset the title of the world’s slimmest phone and takes the title away to the 8.7mm thin Sony Ericsson arc S.